White after Labor Day? Absolutely!! Even in the winter? YES! 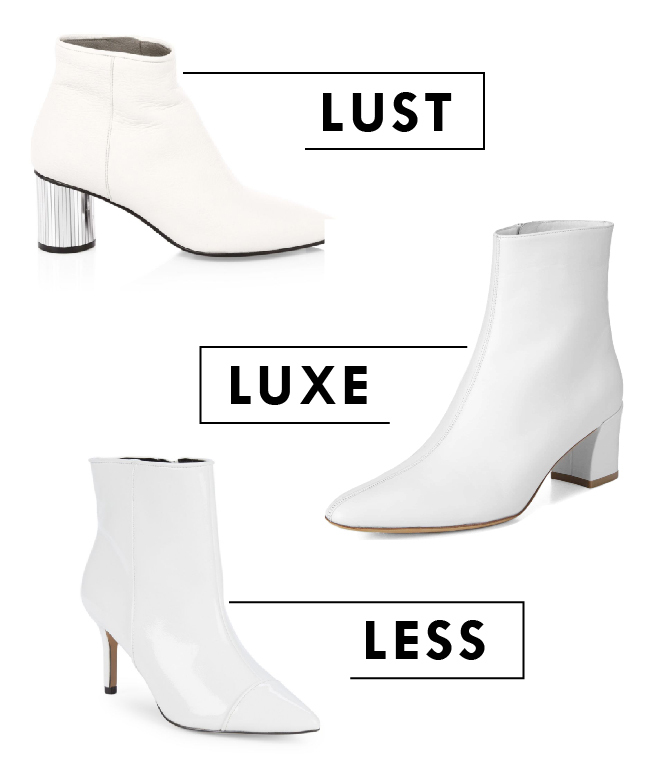 White booties are a chic choice year-round. We’re pairing these beauties with our midi skirts and cropped denim — dress them up or down. Have a summer dress you want to wear now? Just add white booties and a blazer and you’re ready for cooler weather. Or, go for a fun statement look with colored tights. We found this fashion-forward shoe at a range of price points, whether you’re ready to splurge or need to keep your budget in check this season.